Author of Classic FM's 'Saturday Night at the Movies' book, former Executive Producer of 'High Score' on Classic FM, trustee of the Cambridge Film Trust. As executive producer at Classic FM, Jenny Nelson produced a range of programmes including Alexander Armstrong, Bill Turnbull, Aled Jones and Classic FM’s More Music Breakfast, and launched ‘High Score’, the first show dedicated to video game music on national UK radio in 2017, producing the first two series and a May Bank Holiday special in 2018. Having just stepped down from her full-time role at Classic FM so she can complete a Creative Industries Management MSc at Birkbeck University, Jenny continues to produce the weekly film music show, ‘Saturday Night at the Movies’, which was nominated for the Broadcasting Press Guild Radio Programme of the Year Award in 2018. She is the author of a ‘Saturday Night at the Movies’ book, released in March 2018, which explores creative partnerships between film directors and composers, including the collaborations between Peter Jackson and Howard Shore, Steven Spielberg and John Williams, and J.J. Abrams and Michael Giacchino. 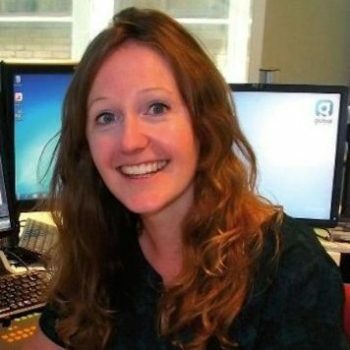 Before joining Classic FM in 2012, Jenny worked at a range of radio networks, and she has won Gold Sony Radio Awards as a producer of music documentaries for both the BBC and commercial radio sector. Jenny has recently joined the board of the Cambridge Film Trust and is looking forward to being a part of the Cambridge Film Festival team in October 2018.